Get ready to build and blast like the web-slinging teen with Miles Morales Assembler Gear! Collect, combine, and customize! 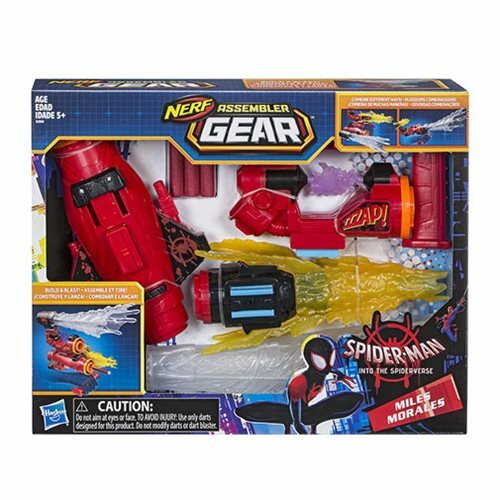 With Miles Morales Assembler Gear featuring Nerf technology, kids can assemble their ultimate blaster and imagine taking down the villains! 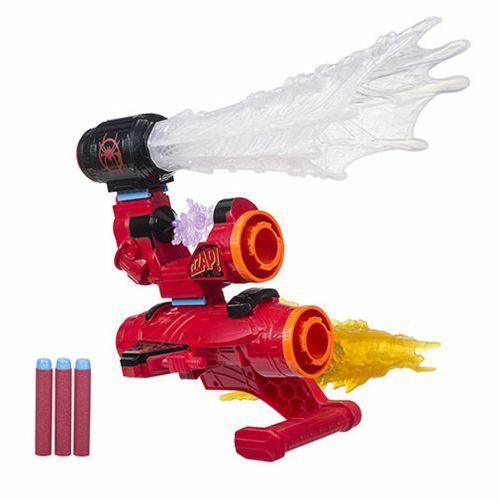 Each Assembler Gear set features different blaster combinations and can be combined with other Assembler Gear sets (each set sold separately) to build customizable blasters and get ready to blast into action! With over 100 combinations of blasters with multiple sets (each set sold separately), the only question is: what will YOU assemble? Includes gauntlet, 3 connectors, 3 darts, and instructions.